Specializing in One of a Kind and Small Ltd. 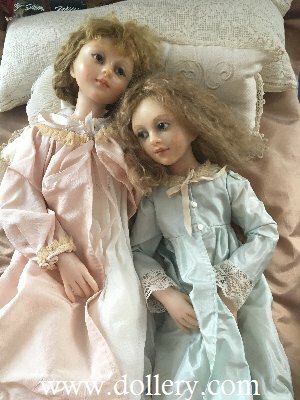 Edition Dolls for over 40 years! 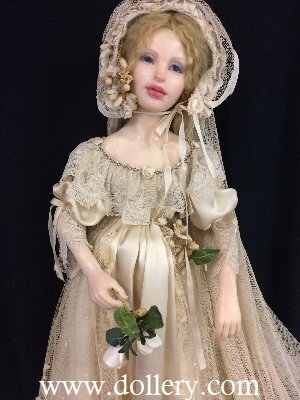 CLICK BELOW ON MAIN DOLLERY HOME TO VIEW OUR NORMAL SITE WITH A FULL ARTIST LISTING OF NEW DOLL ART AND ALSO OUR FEATURING 2ND MKT SECTION WORK NOW AVAILABLE! 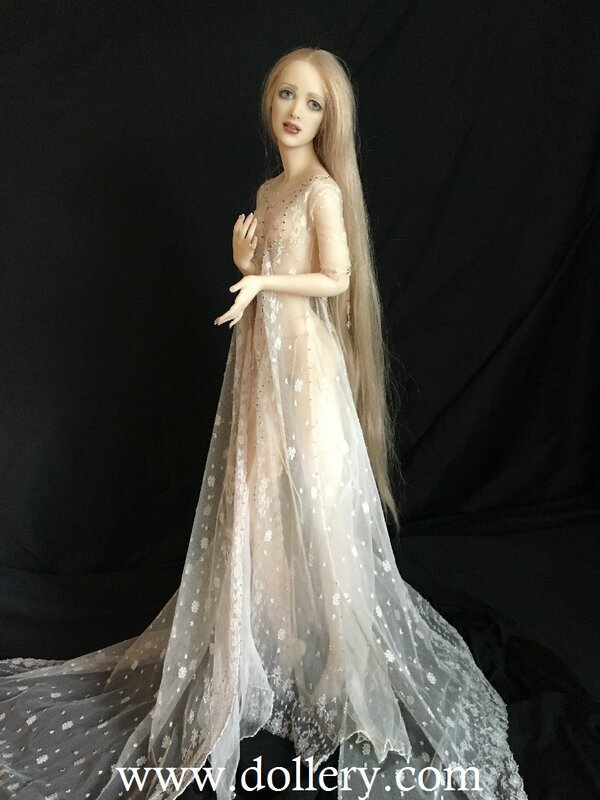 MARCH 2019 - WINTER ONLINE DOLL SHOW - DAILY UPDATES! BE SURE TO EMAIL KMALONE@DOLLERY.COM TO GET ON OUR MAILING LIST FOR SPECIFIC ARTISTS! New and 2nd market work! Coming soon - brand new line by Tom Francerik and Andre' Oliveira! 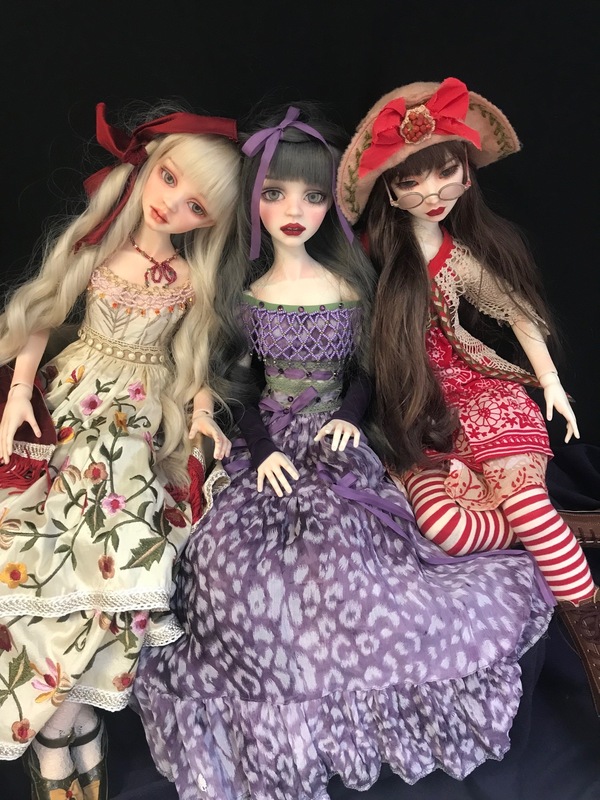 Just posted Up now - Farewell 2019 Gunzel collection! 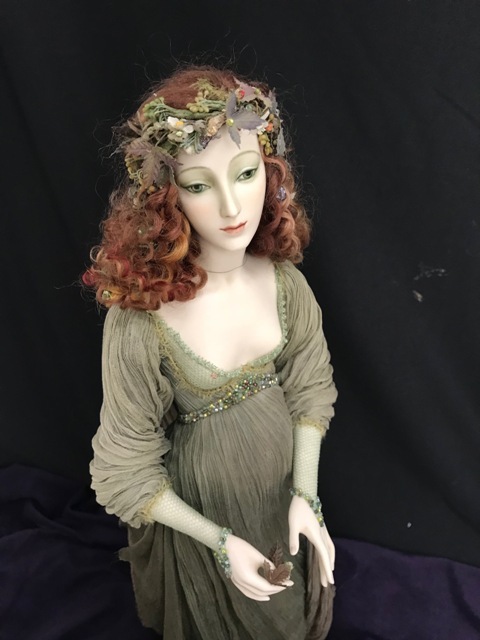 New Iacono for 2019- COMING this week - R. J. Wright dealer for new and 2nd market work - updates coming, 2nd mkt work by Scattolini, original Sissel Skille, Laura Scattolini, Alexandra Kukinova, Marilyn Stivers, other Anna Brahms, many many more coming NOT ON SITE YET - POSTING SO MUCH MORE SOON! CHECK IN DAILY! 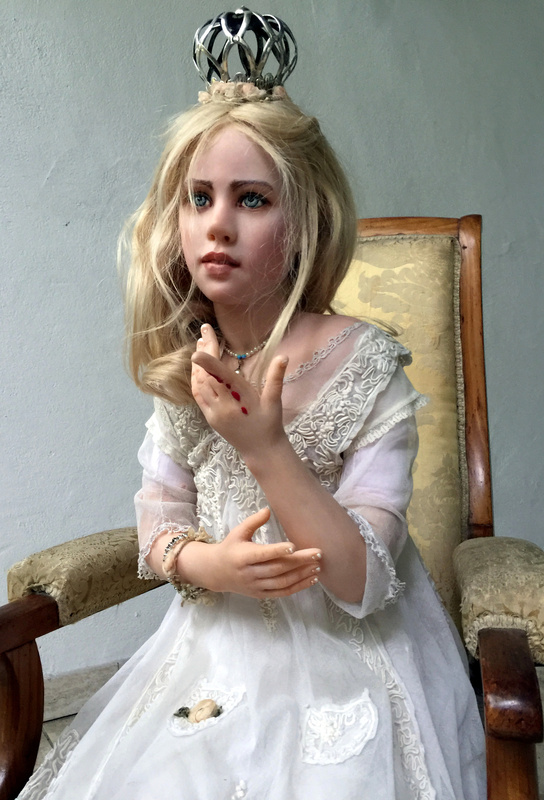 New 2019 work from Hildegard Gunzel and many more coming!Interested in specific artists? Make sure to email kmalone@dollery.com for ADVANCE PREVIEWS ON WORK AS IT BECOMES AVAILABLE. 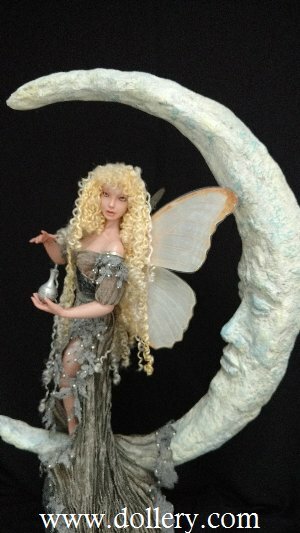 Brand new one of a kind work by Linda Zalme - hurry, first available fairy piece since 2010! 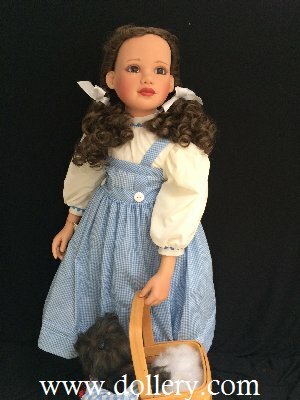 One of a kind - available. 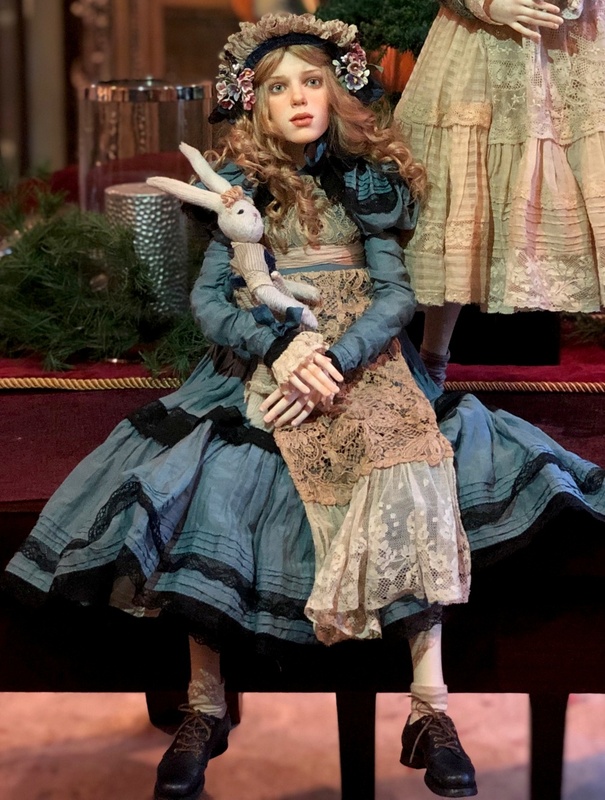 Email kmalone@dollery.com asap 2nd Market Listing by Michael Zajkov - limited edition 2018 doll - now available thru the Dollery - rare opportunity New update of work - Alisa Filipova -another amazing "Alice in Wonderland" ooak (sold) doll created for the Dollery by specail order- Contact kmalone@dollery.com. 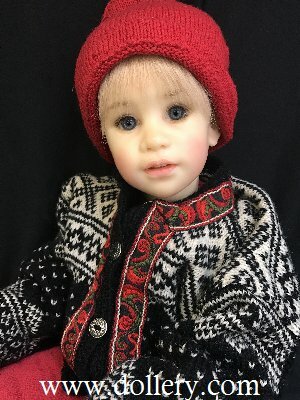 2019 -Get on our mailing list now for automatic updates on Helena Oplakanska's beautiful dolls! 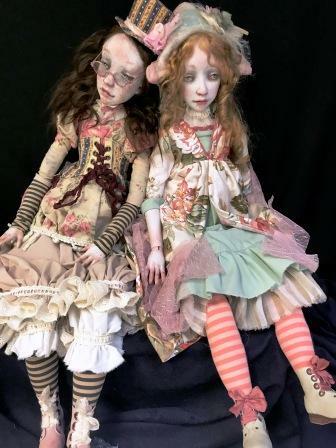 Secondary Market dolls by Kardenchiki available or on photo below! Click on this link above for photos! 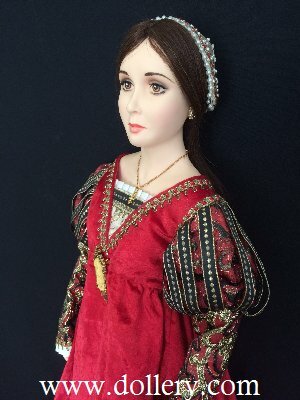 Lorella FAlconi - new edition - above -one left! Get on our mailing list for her work! 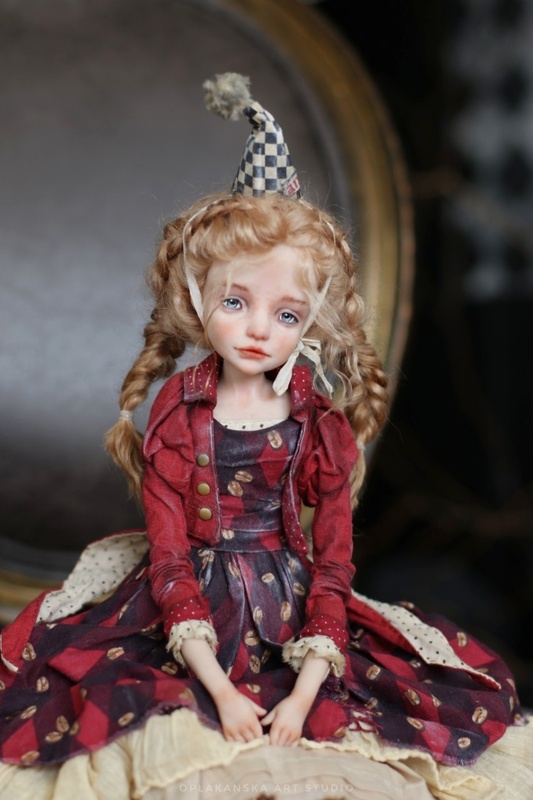 Shipping in Feb - SOLD OUT Alexandra Kukinova dolls - 2nd market - a few available - photos coming soon! Email kmalone@dollery.com for further info. Scattolini - above "Light" - sold - contact us on others. 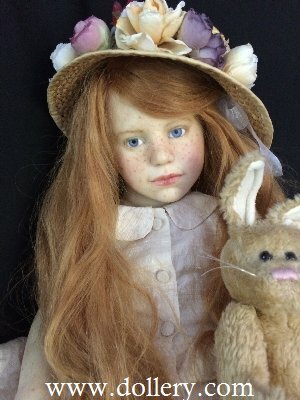 New work - one of a kind work by Jane Bradbury - hurry - 30" - rare opportunity! Also other 2nd mkt treasures coming! SOLD - EMAIL ABOUT OTHERS. 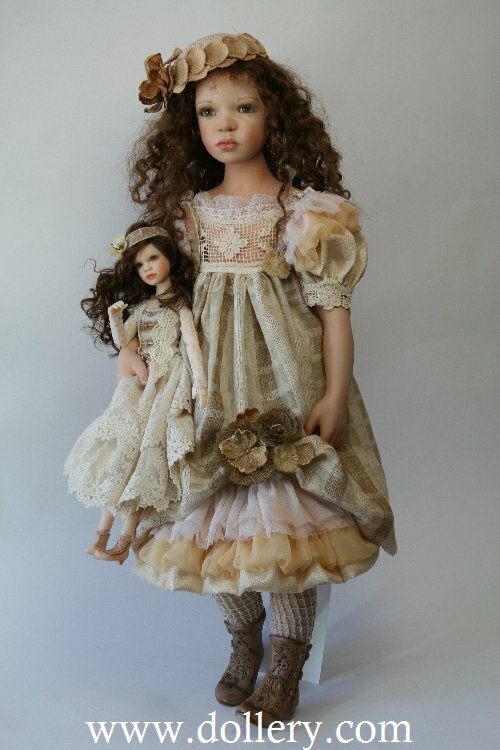 Dale Zentner - Bjd dolls- 2nd market - mint, mint. SOLD - didn't last long. Be sure to get on Zentner mailing list! 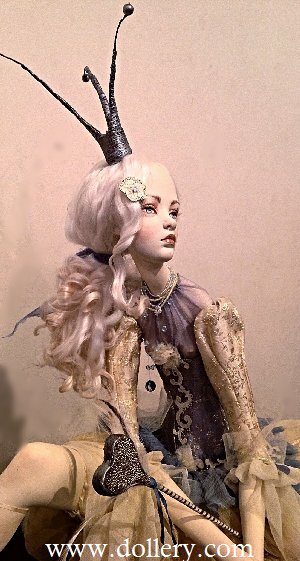 New one of a kind work by Rotraut Schrott- stunning - Sleeping beauty - ooak Click below to view higher resolution photos and the full piece! 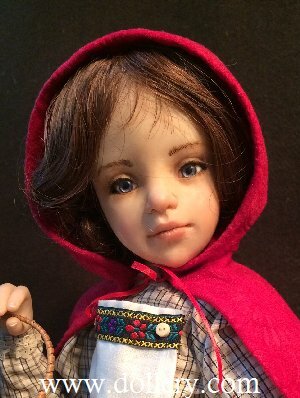 SISSEL SKILLE DOLLS Anna Brahms Dolls - SELECTION OF SECONDARY MARKET WORK! We have added MANY new 2nd mkt treasures to this page since last year! Don't miss them! THERE ARE OVER 50 NOW AVAILABLE - THESE ARE AMONG HER VERY BEST. Maggie Iacono - new for 2018! 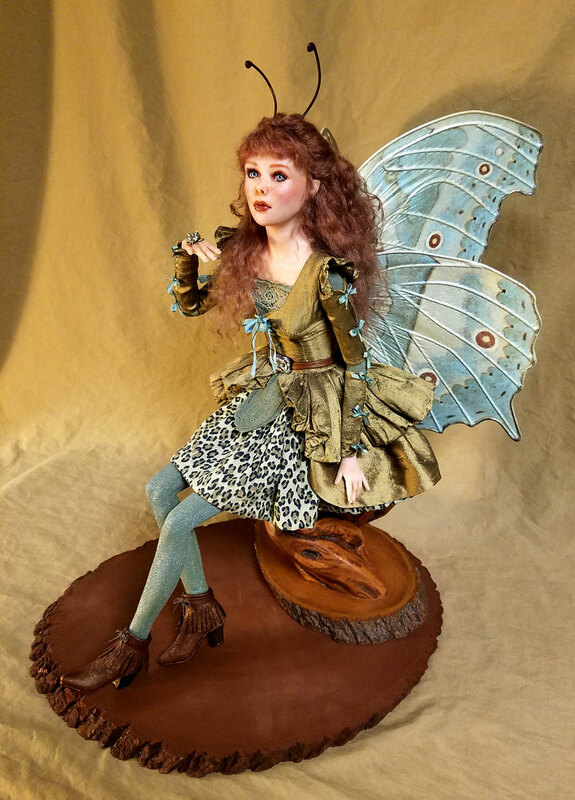 Susan Snodgrass -2018 Spring show - fantastic collection of fairies, mermaids, Arabian princess pieces - $499,99 and up - even small merbabies for just $99.00 each! Click below. 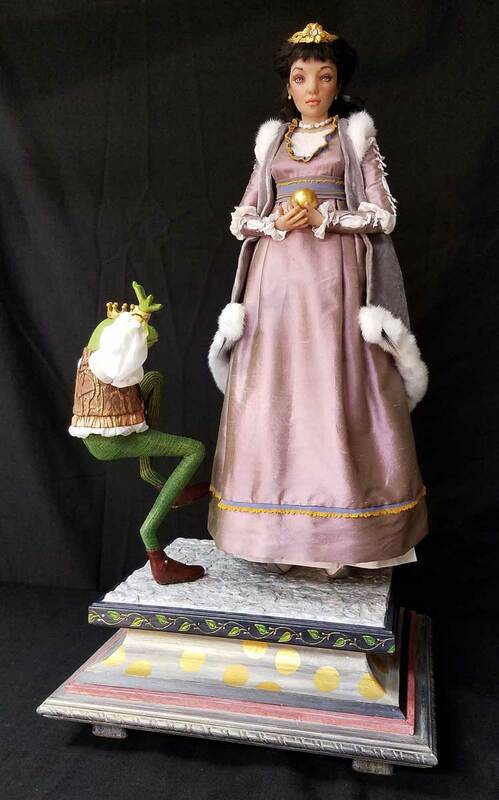 Linda Zalme 2018 Spring show featuring brand new work "The Princess and the Frog" and also now taking CUSTOM fairy orders! She is back! 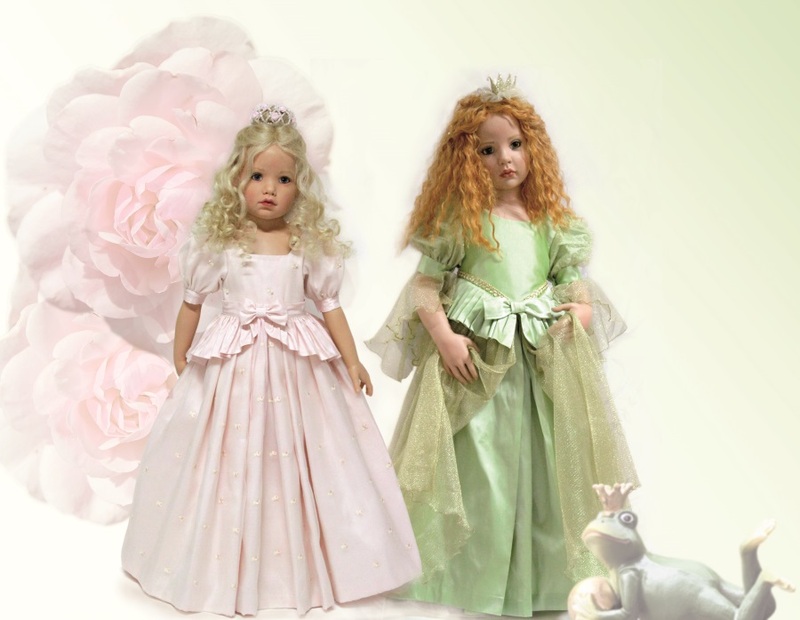 Be sure to look at this page to really see her "Monarch fairies" &more! 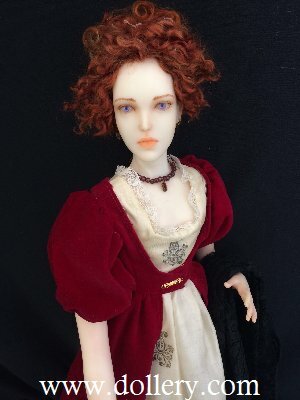 Sylvia Weser Dolls - - Update of 2nd market work dolls now updated for our show - hurry, they are selling. 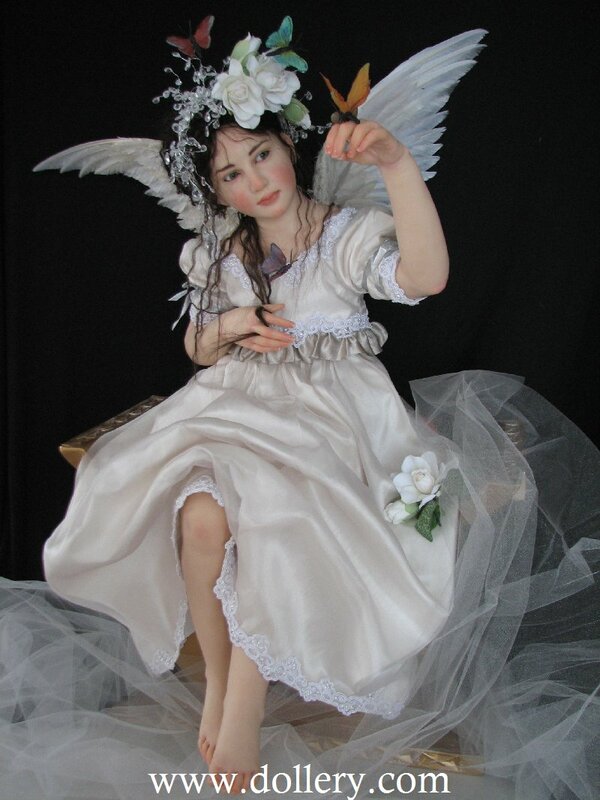 Reasonably priced - beautiful work. 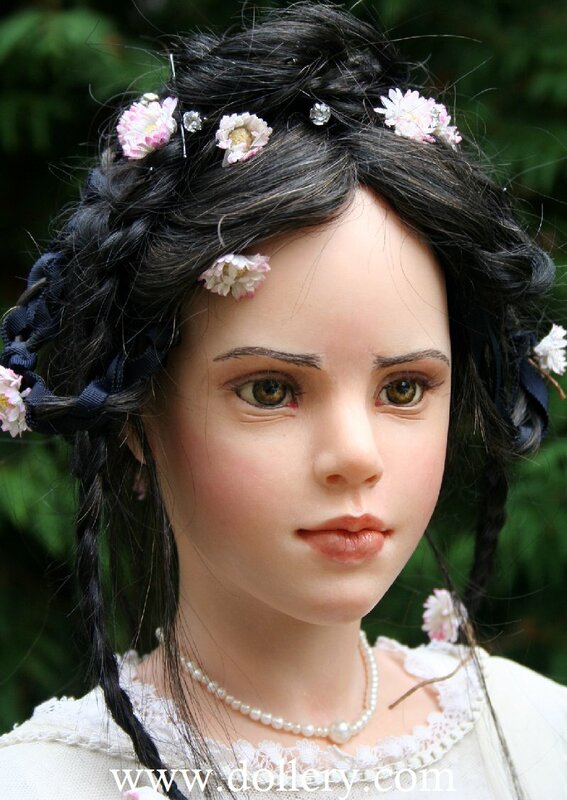 ANNETTE HIMSTEDT - HUGE SHOW UPDATE OF MANY NEW 2ND MKT DOLLS NOW AVAILABLE! 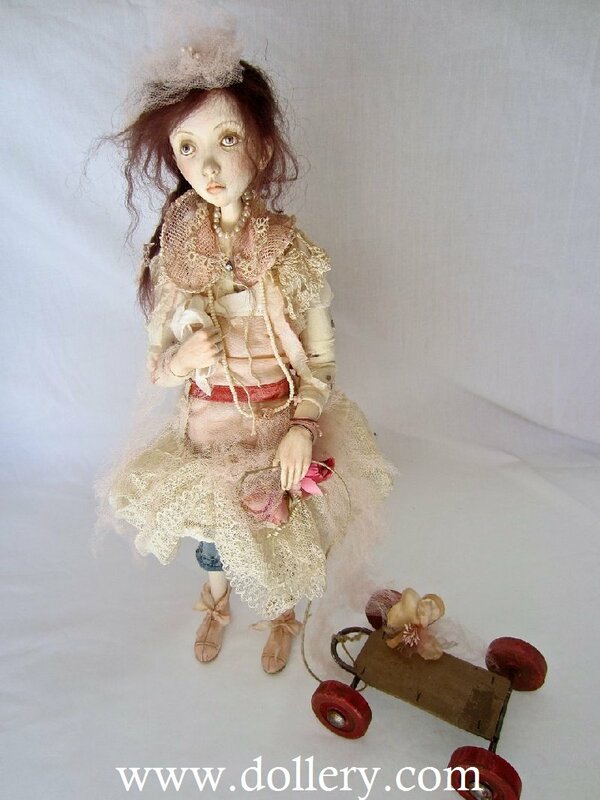 Karen Alicia Stone 2ndary Market Dolls - AMAZING WORK AND ANOTHER ONE NOT SHOWN! Masha Volodina - New work by Russian artist! 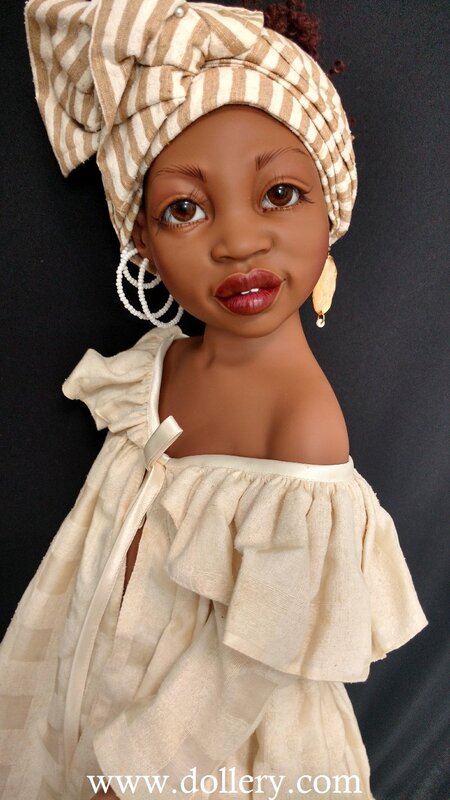 GET ON OUR MAILING LIST FOR HER WORK IF INTERESTED IN SEEING OTHERS THAT ARE AVAILABLE. Jamie Williamson - 2nd market treasures available thru the Dollery now or contact kmalone@dollery.com for new work as it becomes available or 2nd market work. 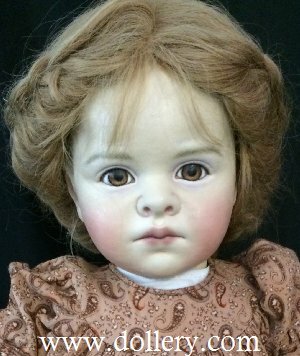 Jane Bradbury Dolls - Click below to view amazing one of a kinds - reasonably priced! 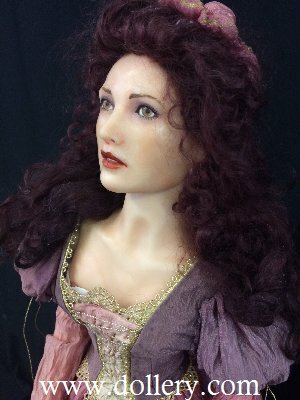 Jane's work is mostly by custom order now. They sell very quickly. 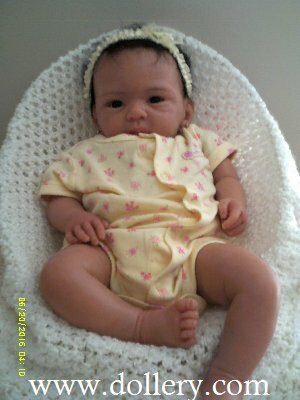 Be sure to contact kmalone@dollery.com on orders. SHOW SPECIALS AVAILABLE NOW - CLICK BELOW. 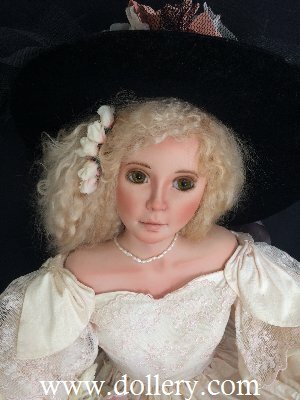 MONIKA DOLLS - HUGE UPDATE OF 2ND MARKET DOLLS FOR THIS YEAR'S SHOW - DON'T MISS THEM - GREAT BUYS! 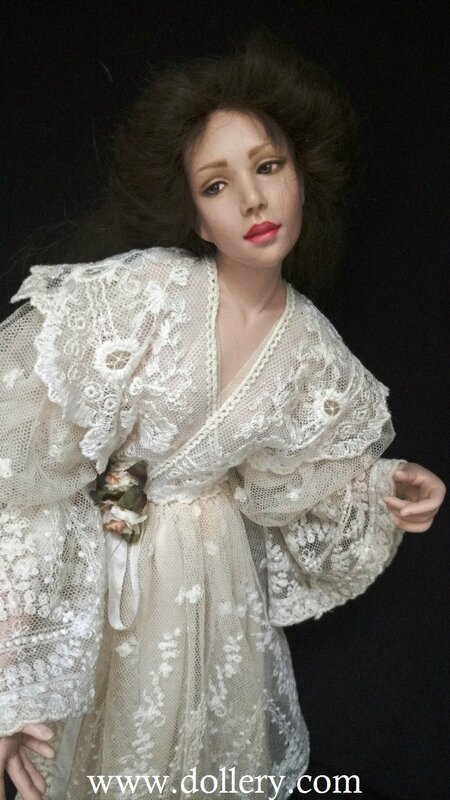 Hildegard Gunzel Porcelain Dolls - click here to view the entire line of Gunzel wax/porcelain pieces available from 2017 line! ALSO - SHOW SPECIAL ON THE RARE SNOW WHITE ON 2ND MARKET! 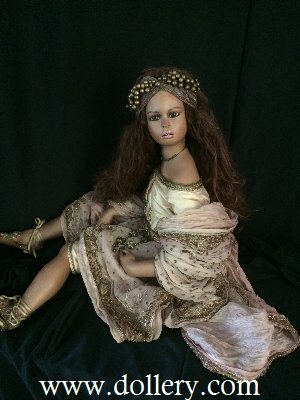 Secondary Market Dolls - beautfiul one of a kind pieces - show prices! No longer made. 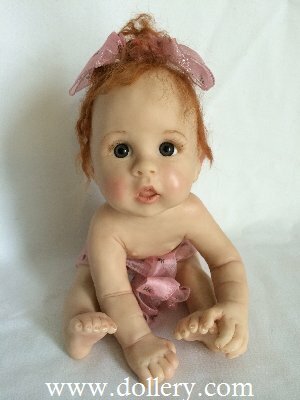 Joan Blackwood - 2nd mkt posting - no longer makes dolls has given up a doll from her very own collection! Show priced! 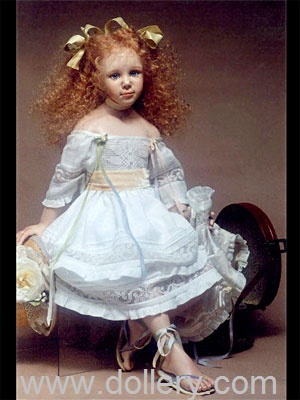 Zofia and Henry Zawierusynski Vinyl & Porcelain dolls new for 2017! SHOW SPECIAL - TAKE 10% OFF ORDERS DURING THE SHOW! 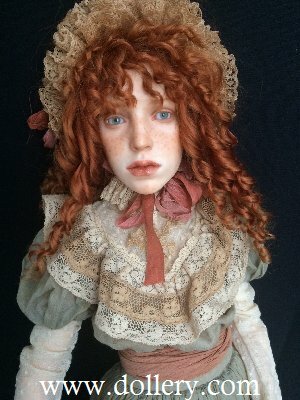 Listing of Secondary Market Dolls! Three new postings this fall and ONE MORE TO COME! 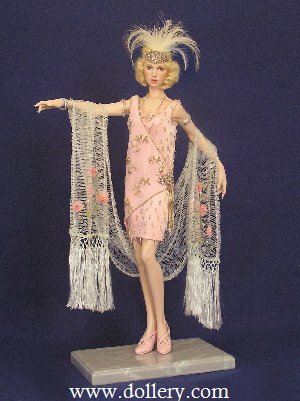 Evelyn Fringe - - 2ndary Market Doll SHOW PRICED - WE HAVE ONE DOLL FROM HER.RARE AND IN PERFECT CONDITION. 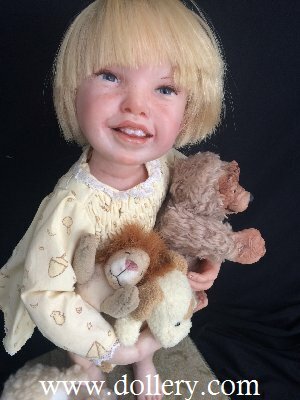 Gerda Schaarman-Rijsdijk - SPECIAL SHOW PRICES!!!! Click below to view an entire collection of brand new work! 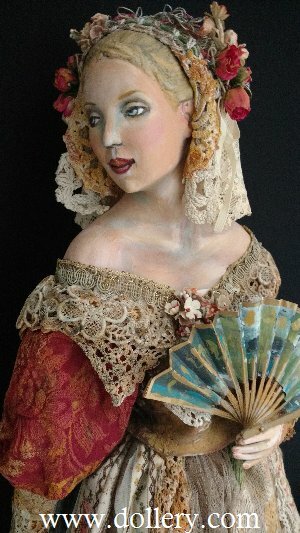 One of a kind Japanese paper clay figurative art. Julie Fischer SHOW UPDATES ARE COMING BUT NOT UP YET. 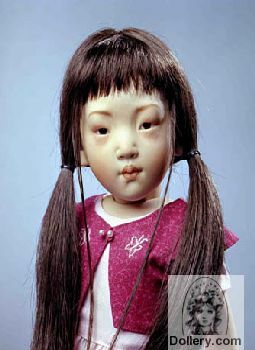 by Pat & Glen East - yes, available and a good buy... absolutely stunning one of a kind - no longer being made! 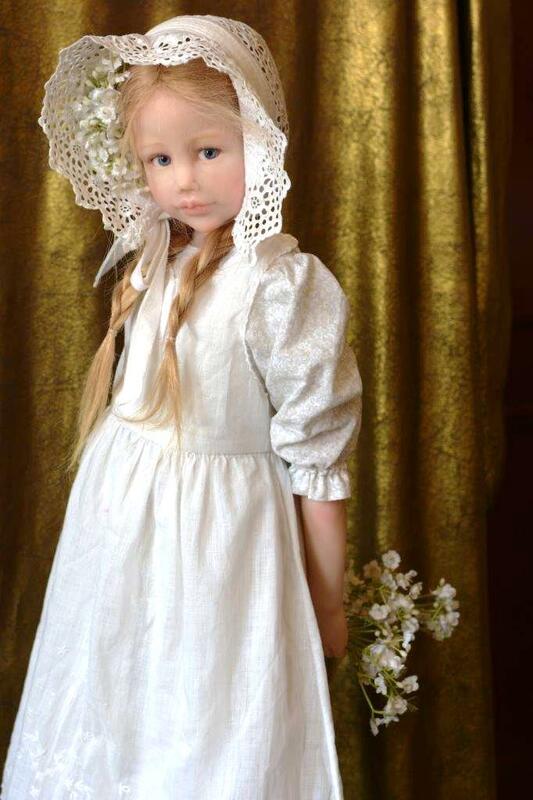 Eva Helland - 2nd market Collection! LYNNE AND MICHAEL ROCHE- 2ND MARKET WORK AVAILABLE! 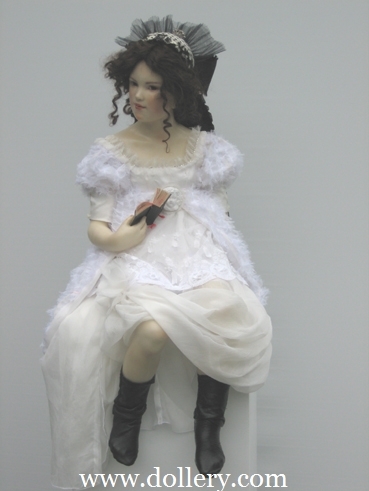 Regina Sandreuter Dolls - fantastic 2nd market wooden & porcelain work! 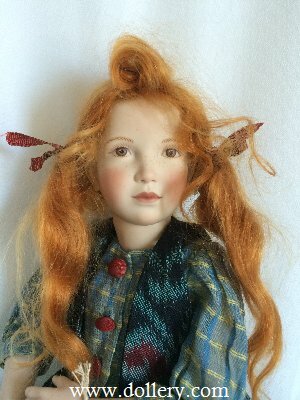 Hanna Goetz Dolls - wonderful selection of 2nd market work by a master of her art! by Laura Lee Wambach - wonderful little faces! SHOW SPECIAL! 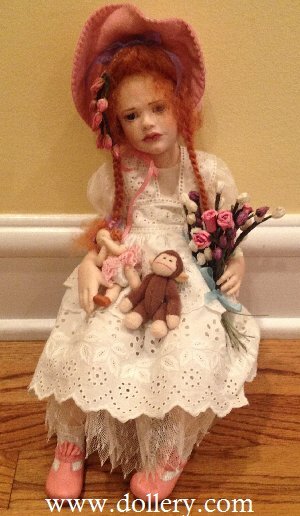 Zwergnase - 2ndary Market Dolls - SPECIAL SHOW PRICE! 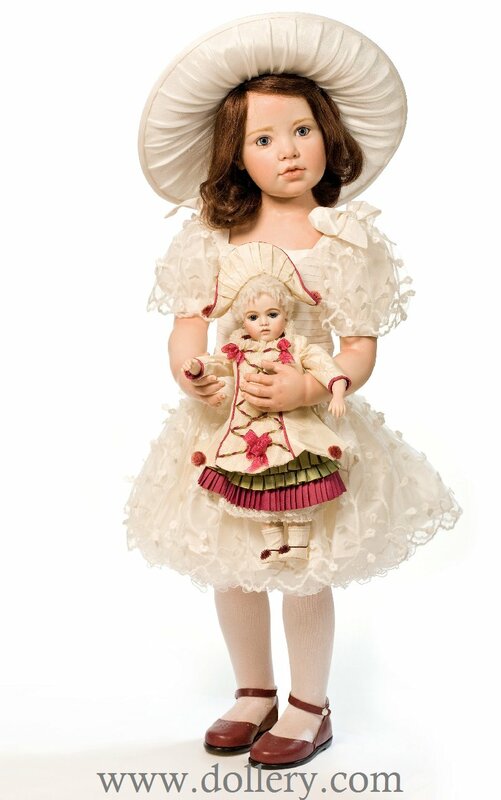 Beatrice Perini Dolls - wonderful selection available on the 2nd market. 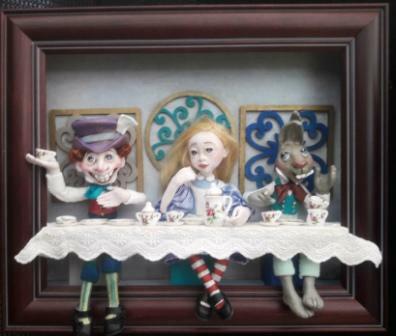 Helen Kish Dolls - priceless porcelain work in small editions available on the 2nd market! 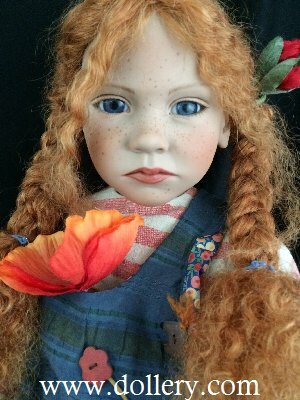 Dale Zentner Dolls - original one of a kind work no longer being made available on 2nd market. 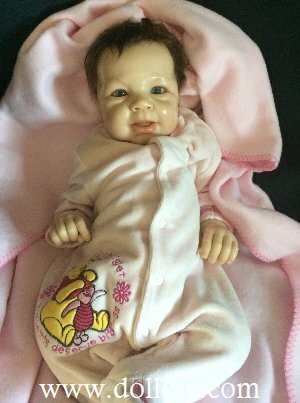 Click here to see our entire listing of Secondary Market dolls. Please REFRESH your screen periodically as we will continue to update work through out the month. 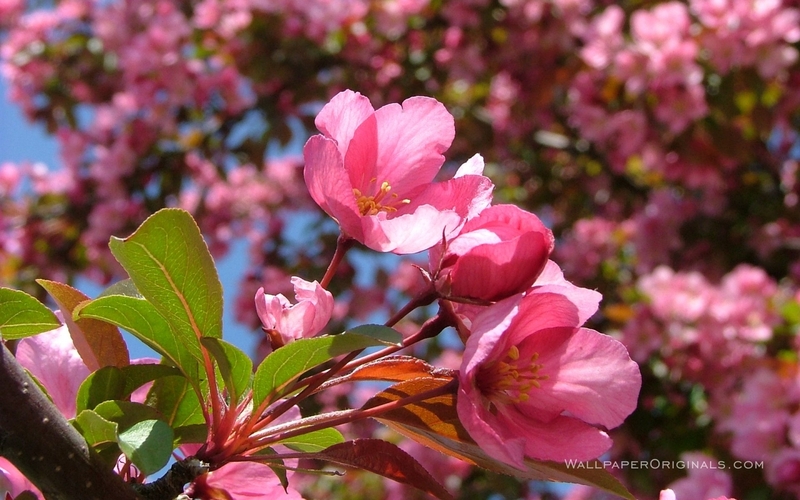 We will mark artists as having been completely posted or updated as we post images to their pages. Thanks for visiting and enjoy! 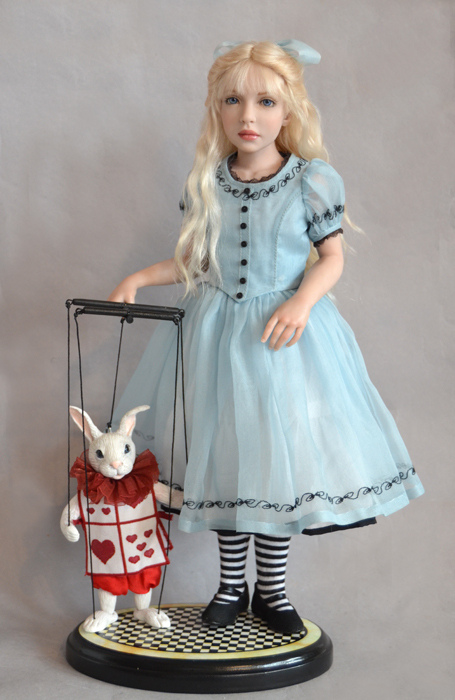 Be sure to email kmalone@dollery.com to be added to our mailing list. ALL PHOTOS OF ONE OF A KIND WORK AND NEW SMALL LIMITED EDITION WORK ON THE SHOW HAVE BEEN AUTHORIZED TO BE POSTED ON THE SHOW BY ARTISTS PARTICIPATING. 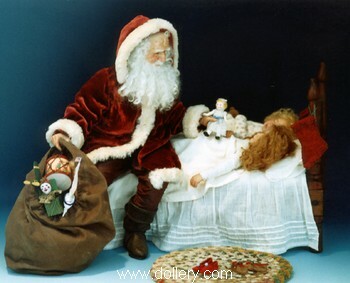 THESE PHOTOS ARE THE PROPERTY OF THE DOLLERY AND CAN NOT BE COPIED OFF THIS SITE WITHOUT CONSENT. 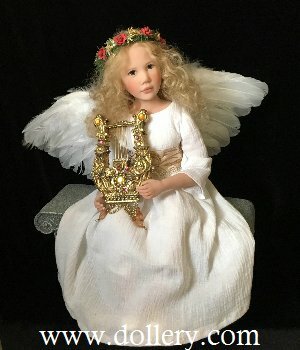 ALL PHOTOS OF ONE OF A KIND WORK AND NEW SMALL LIMITED EDITION WORK ON THIS WEBSITE HAVE BEEN AUTHORIZED TO BE POSTED ON THE SHOW BY THE ARTISTS THAT CREATED THEM. 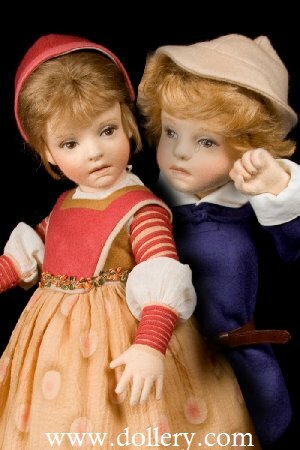 THESE PHOTOS ARE THE PROPERTY OF THE DOLLERY AND CAN NOT BE COPIED LEGALLY OFF THIS SITE WITHOUT CONSENT.